Do you see a young face or an old one - or can you see two? I see a young Charleston 1920s face. What do you see Carol? At first I saw only a young face but now I see an old woman's face as well. There are definitely two faces. I see a young face, then concentrate and see a wicked witch face with a huge bent nose. It’s the way you look at the chin on the young face. 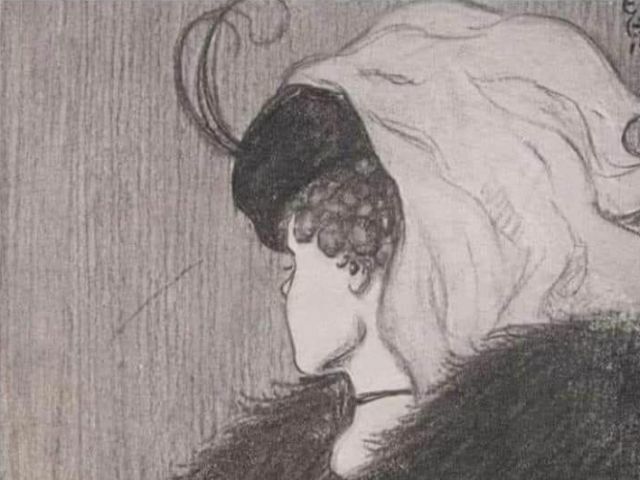 I can see both faces, but I have seen that one before. I see a beautiful young lady and a sad looking old lady. I saw the old lady first.